What a pretty and fun birthday card! Distress Oxide Reinkers were used for the colored droplets. Coordinating those droplets with the cardstock used pulls it all together so nicely! You can find Darsie’ post on her blog here. 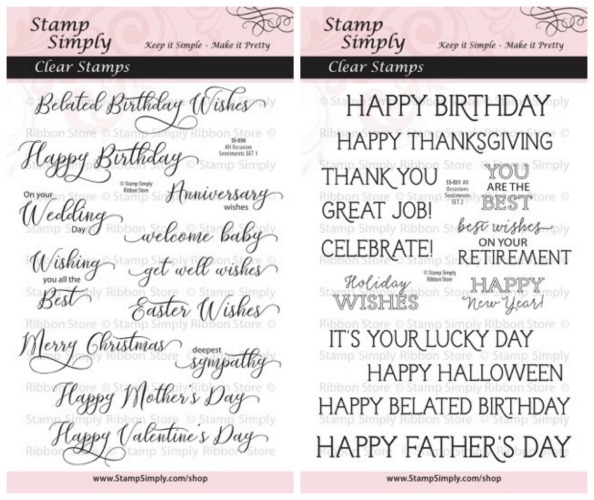 Darsie used SET 2 today, but as you can see, with both of these versatile stamp sets in hand, you’ll be covered for all the yearly holidays and occasions that could possibly arise! This is one of those ‘must-have’ duos!!! 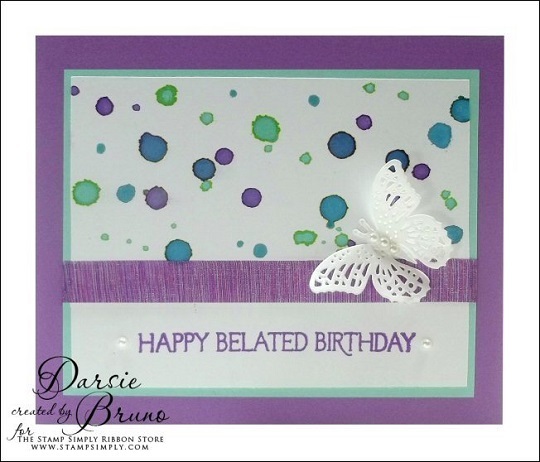 Flutters Die D-Lites by Spellbinders – lovely! Find ALL Die D-Lites here. 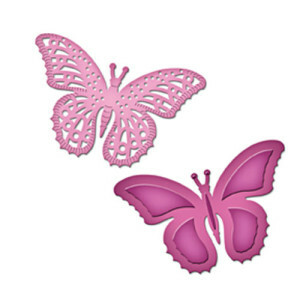 Do you like butterflies? 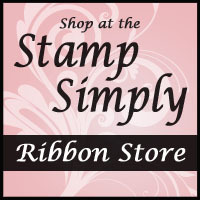 We have a lot of butterfly themed products here. 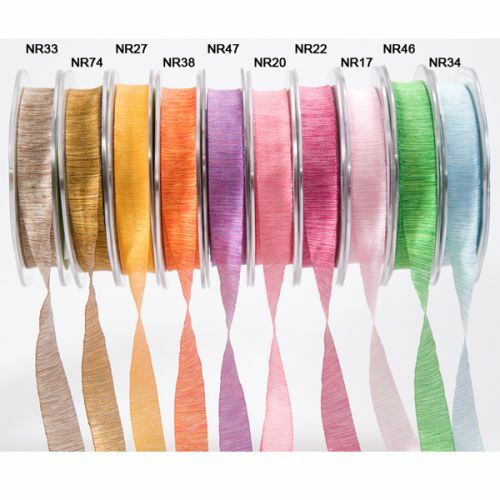 Available in 10 colors individually, in a sampler pack of all colors, or by the full spool. 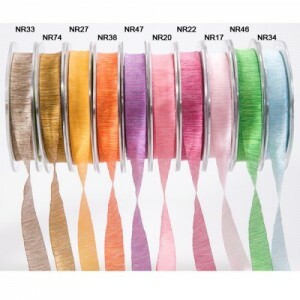 We stock all 36 colors (not all shown) – all 3 releases of 12 each are in stock! Get all 12 colors in each release for the price of 10 when you purchase the bundle.